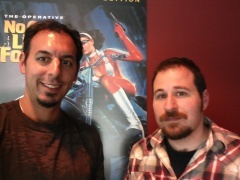 Right before PAX Prime kicked off, Monolith invited Co-Optimus to their studio in Kirkland, WA to check out the latest build of Guardians of Middle-Earth. 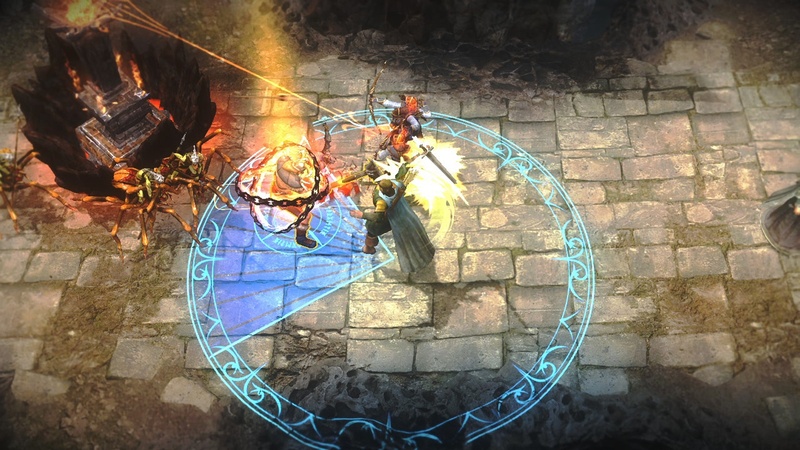 The game was a surprise to us at E3, bringing the MOBA genre to the console while combining it with the LOTR license. 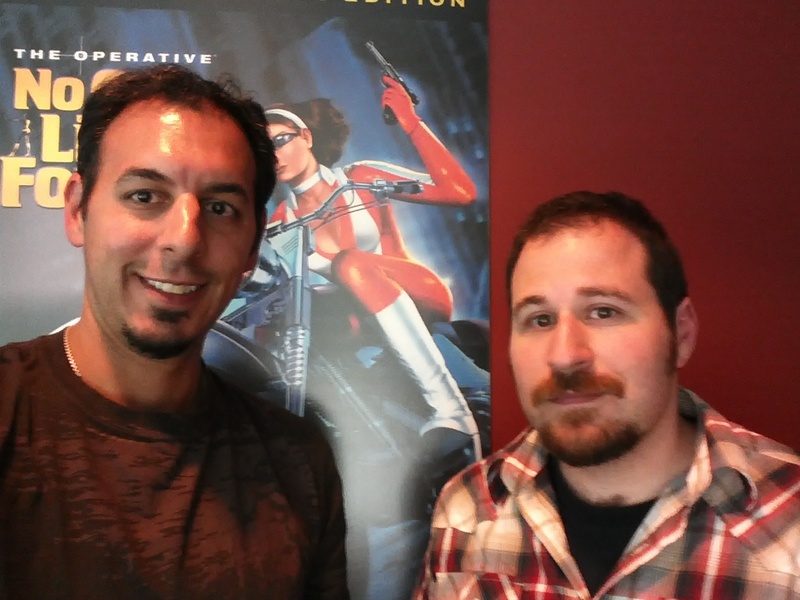 So Mike and Nick braved the Washington traffic and headed into the studio eager to see how the game has progressed...and hoping to get a glimpse of a SHOGO sequel. One out of two ain’t bad. The day started out with a tour of the studio...which sadly wasn’t very deep. Apparently there are lots of secret things going on at Monolith (SHOGO SEQUEL PLZ) - so we couldn’t go very far. But we did check out their recording studios, their mo-cap studios, and some of the artist’s areas. They also had a swank theater they use for watching playtests and other things you watch in a movie theater. We then got a brief demo from Ruth Tomandl, Senior Producer and Bob Roberts, Producer. The biggest thing that was shown off was a new “belt and gem” system. Basically think of this as the item shop from other MOBA games, but instead of choosing from a list of items mid game, you’ll set up your belt before a match. A belt has 7 slots on it and powers can use 1, 2 or 3 of them. Powers activate once all gems have enough experience - so basically every 2 levels during a match. It’s a unique system that looks to provide quite a bit of depth. In terms of co-op the game will fully support 5 versus the AI or even unbalanced teams of players versus the AI. There’s also matchmaking support for all modes of play. After that, it was onto the game. Lucky for us we were given the full roster to play with - some of which we just happened to choose and can’t talk about. We didn’t get to play co-op against the bots, our matches were against humans, but it was still easy to get a feel as to what to expect. I personally felt that each Guardian was vastly different. The four I played with, while controlling the same, really handled differently. Whether it was movement speed, how fast they got off an ability, or the distance at which their attacks worked, there’s definitely some “learning” when you choose a new guardian. At one point I was playing as the Witch-King, which is a slow hulking type character. And while he has an ability that makes his basic melee attack do super damage, his other abilities help scatter crowds of enemies. Another character I used was able to charge up and chain lighting into crowds, making him quite deadly. The other great thing is just how great the controls work. Actions are quickly accessible through the face buttons while potions are found on the d-pad. Upgrading mid battle is as quick as holding a modifier and pressing the corresponding face button. I didn’t give the alternate control scheme a go, but the basic one seemed to work well enough for our few matches. Overall Guardians of Middle-Earth felt really tight and exciting to me. There were several matches where people were cheering takedowns while watching over people’s shoulders. You don’t get that from just any type of game, so clearly Monolith has something special on their hands. Like Nick, I was hoping beyond hope to see either a Shogo or No One Lives Forever sequel lurking somewhere in the halls of Monolith, only to be sorely disappointed. Luckily for me, my disappointment was fleeting, because as it turns out, Guardians of Middle-Earth is quite fun. Unlike many other games in the MOBA genre (I’m looking squarely at you guys, League of Legends and Dota 2), Guardians is dead simple to drop into. Sure, you’ll have a lot to learn as the nuances of the genre reveal themselves, but everything is presented about as well as I would want in the shift of this type of game to consoles. The different guardians break down into five different classes: Striker (Physical/Melee DPS), Defender (er.. Defense), Warrior (Generalists), Tactician (Lane Control) and Enchanter (Magical DPS). I chose to play as [REDACTED], one of the Defenders. While my offensive abilities were only average, his defensive abilities allowed him to taunt other guardians, forcibly refocusing their attention to him for a few seconds, absorb a great amount of incoming damage. I also spent some time as Gollum, one of the Strikers, who by contrast dealt a massive amount of damage, but could only take a little bit by himself. Most of his abilities involved dealing damage, but he had a few tricks up his sleeve to allow him to escape a hairy situation. Though the act of actually playing the game has been greatly streamlined, being able to set loadouts for certain situations is a great addition. Rather than buying new potions/relics each match, Guardians allows you to customize several sets of consumables, passive abilities and commands, which are utility abilities that can be used only sparingly in a match. The passive abilities become active as you level your guardian throughout the match, so planning ahead when picking a loadout is very important. I’ve always been curious about the MOBA genre, and have been greatly put-off by the community of games like Dota 2 and League of Legends. And though veterans of those games may scoff at a streamlined console version of their favorite genre, I welcome it. 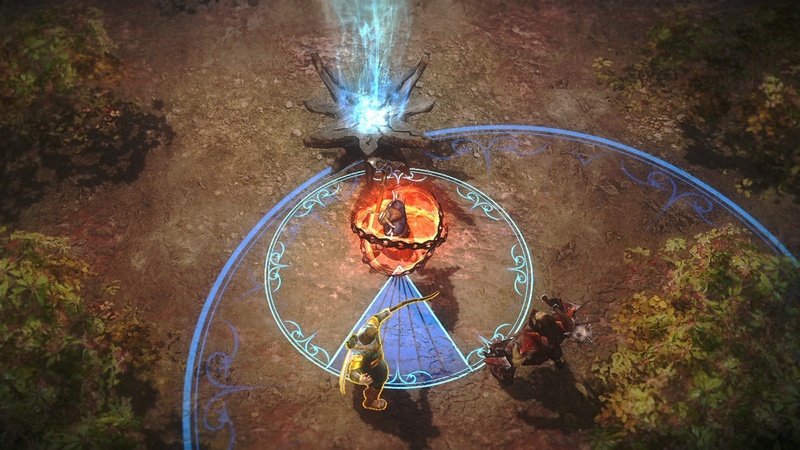 Let’s hope Guardians of Middle-Earth is as fun in the wild as it was playing at Monolith. 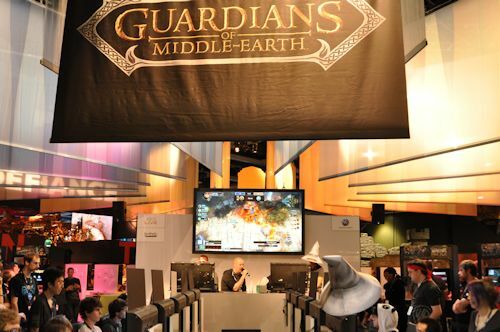 Guardians of Middle-Earth will be out this fall on XBLA and PSN. It features 5 player online co-op play. Page created in 0.3169 seconds.